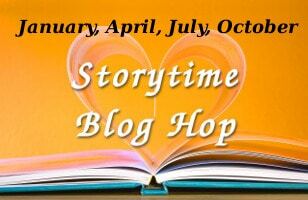 I just signed up for the January edition of the StoryTime Blog Hop. I have a link, and a title, and everything. Everything, except a story, that is. The way this works is that I start the draft for the story–which gives me the link where it will be in the future–and come up with a title. Because the hostess needs a title to put on the link list. After that, I have another week to finish the story (which, I hope, will actually match the title I handed in) and add it to the page where I said it would be. Well, it works for me. I do it that way more often than I’d care to admit. It’s probably one of the things I want to get past by working on the 52 Week Challenge. Anyway, the blog hop is on the 25th this month. Speculative fiction. Short stories. And I promise not to cuss a lot. So, stop by, and read whatever it is I come up with.